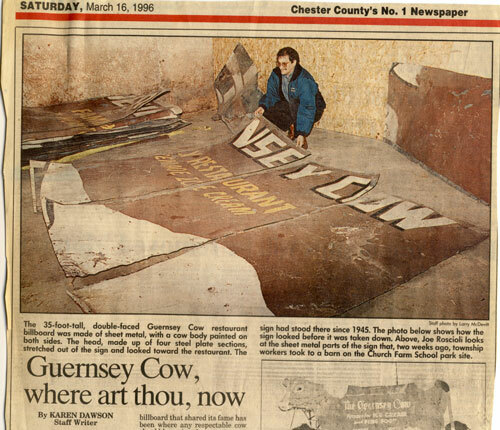 I’ll be on-hand to eat ice cream and help out with The Guernsey Cow and Sleepy Hollow Hall sides of things. Call 610-363-9525 for further information and registration. A few posts (and months) back I mentioned an upcoming visit with my grandmother, Gladys Polite. On that visit we spent several hours going over the photos, documents, menus and material she still had from her various collections over the years. I don’t know where she’s kept it all. This photo is one that I don’t ever recall seeing before. 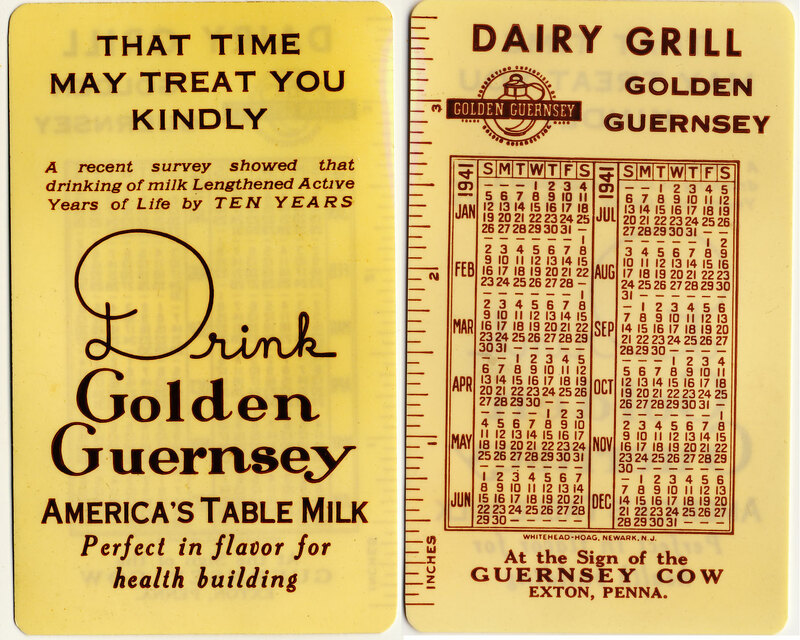 It is The Guernsey Cow The Exton Dairy Grille, around 1931, before it was The Cow. 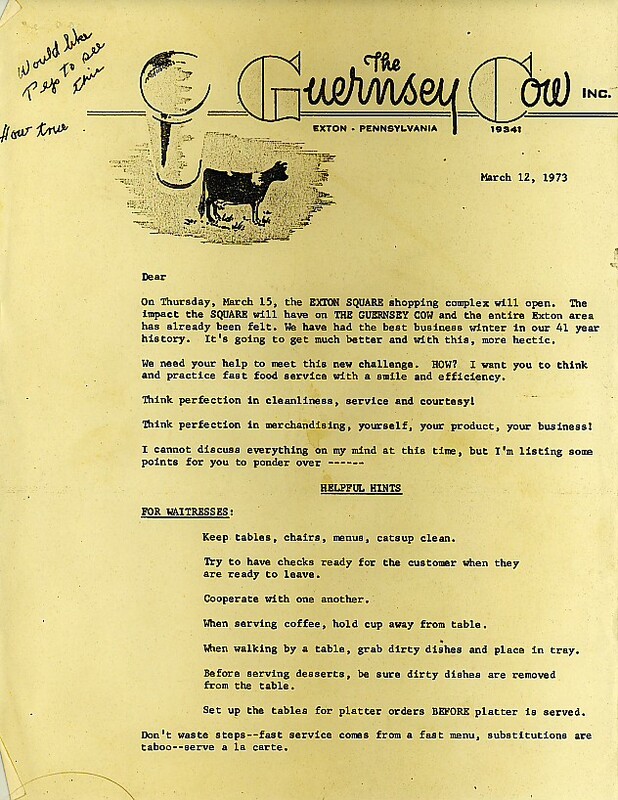 Before my grandfather, Ilario Polite, owned the business, it was known as Montcalm Farms. He worked there in 1927 busing tables, washing dishes, whatever was needed. At that time, around 1927, it was known as Montcalm Farms. …begun in 1927 by Fank B. Foster, president of the Congoleum Company in Philadelphia and a resident farmer in neighboring Charlestown Township, Chester County. 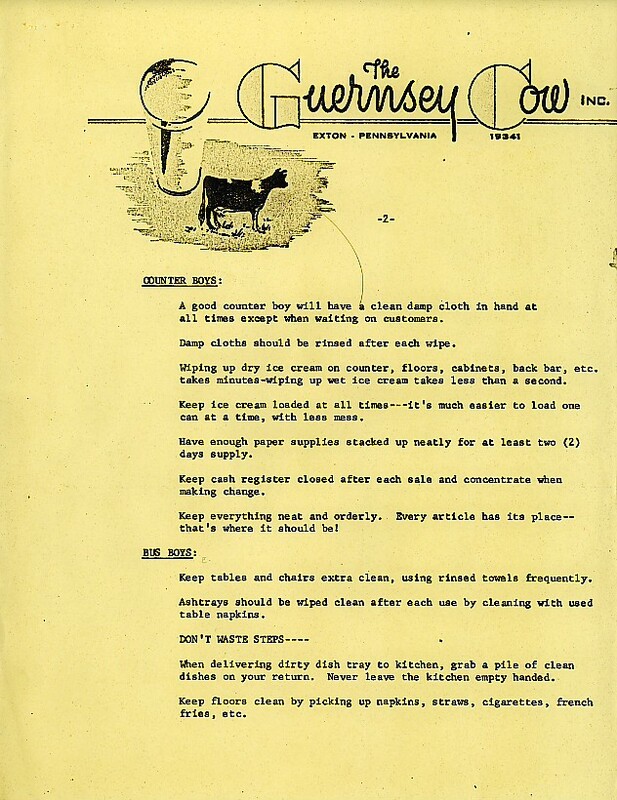 Foster needed a retail outlet for milk from his several Guernsey dairy farms when summer quotas were instituted by Harbison Dairies, a bottling company in Philadelphia to whom many local farmers sold their product in bulk. To process his overflow. 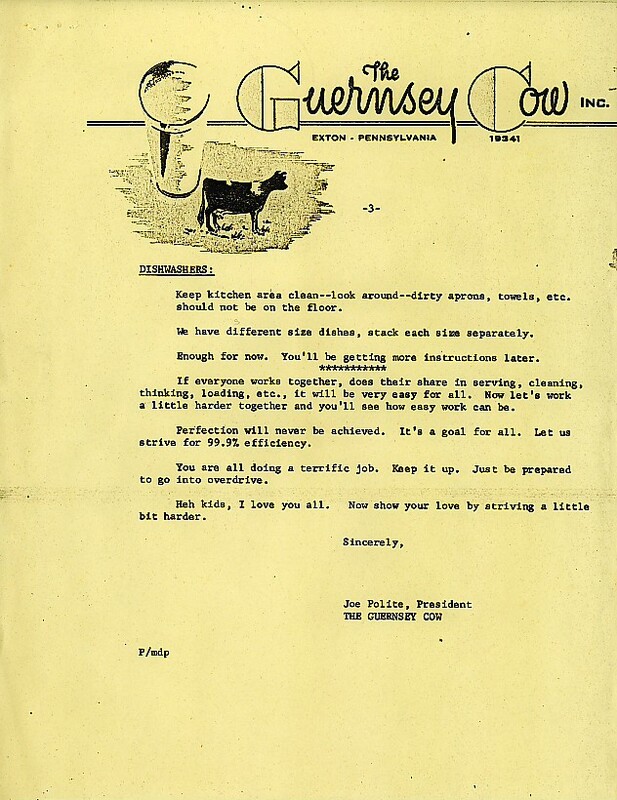 Mr. Foster set up a raw milk bottling operation in a small frame building on the farm he owned at Exton crossroads. Under his name of Montcalm Farms, it was essentially a retail outlet for his own bottled milk, but quickly branched into the sale of eggs and other farm products. 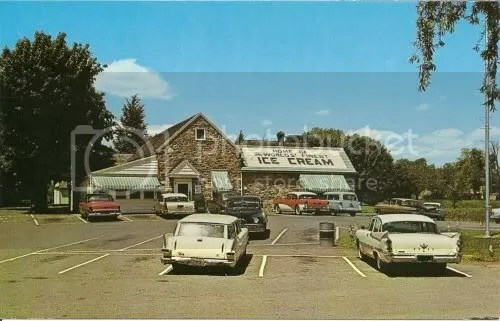 Featured was made-on-the-spot ice cream, and cream caramels prepared by a German storekeeper nearby. 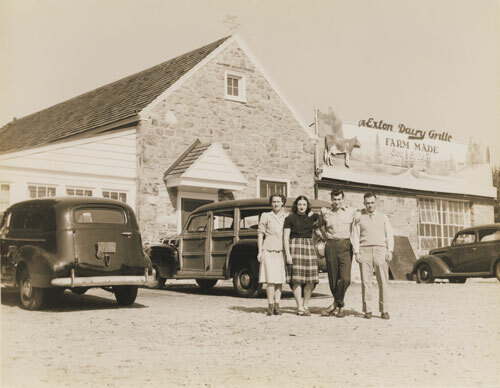 Later when my grandfather took on the business around 1931 it was known as the Exton Dairy Grille. 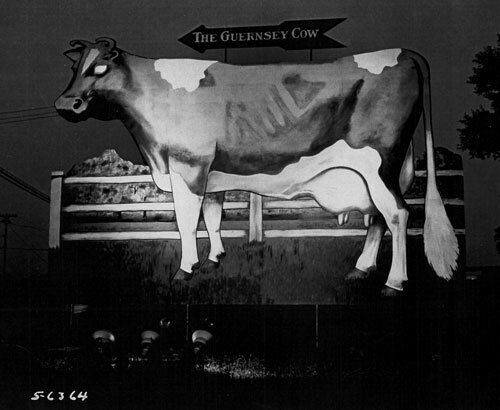 Later, it became famous as The Guernsey Cow. There’s plenty more history to be shared and we’ll get to that over time. I’m guessing that a “plain” milkshake vs. a milkshake with “ice cream” was a glass of guernsey milk shaken up. Remember, back then it was “real” whole milk so that would probably give you a nice thick frothy plain milk shake.